Why did Tsipras call for the referendum? Something was bound to snap in Greece, and now it has… Fiery and inexperienced, the Greek prime minister has breached all the rules of diplomacy, failing to warn his counterparts about his plebiscite before going public, and perhaps depriving himself of a last bit of leverage in the haggling over bailout terms. Tsipras’s calling a referendum was a genuine shock to the European establishment as countless columns in the bourgeois press throughout Europe will attest. What shocked them was not the breach of diplomatic protocols in Tsipras failing to inform his colleagues. That was never more than a pretext for the hysterical reaction of the “institutions”. What really shocked them was the fact that a leader of a European government would dare to consult the people he represented before signing onto the poisoned pill that was being offered. It was as dramatic a statement as ever there was of the irreconcilable contradiction between the European Union and its institutions and any notion of democracy. In light of later events, some have raised the question as to why Tsipras called for a referendum in the first place. Tsipras instantaneous repudiation of the results of the referendum that he himself initiated was seen by some sectarians as “confirmation” of their cry that the referendum was nothing more than a “reactionary fraud” in the first place. Some created full blown conspiracy theories out of their speculation as to Tsipras’s reason for calling the referendum, claiming it was actually a clever and cynical maneuver designed to make it easier for Tsipras to capitulate to the troika. They had no explanation as to how calling a referendum in which he might be forced to actually confront the EU would make it easier to capitulate to their demands. But no matter, logic was never a strong point of the sectarians. These groups, including some of the anarchist “ultra-leftists”, justifiably deserved the contempt they earned for themselves with their dismissal of the importance of the referendum. Of all the sectarian groups operating in Greece, the only one of any political significance, the Stalinist Communist Party of Greece (KKE), received a well deserved rebuke by the working class. Their call for casting a spoiled ballot, in effect a asking voters to boycott the referendum and thereby assisting the right, was roundly ignored by the great majority of their own supporters. The working class of Greece understood much better than the sectarians that regardless of the motivations of the Tsipras government in calling the referendum, here was an opportunity to resist the drumbeat of austerity. The failure of the SYRIZA strategy and the simmering popular discontent with the return of the troika austerity policies obliged the SYRIZA government to reject the troika demands and put them to the public vote through a referendum. At the same time the SYRIZA leadership argued that in case of a ‘NO’ it would approach again the EU for new negotiations. I was travelling on a beautiful cloud pushed by beautiful winds of the public’s enthusiasm for the victory of Greek democracy in the referendum. 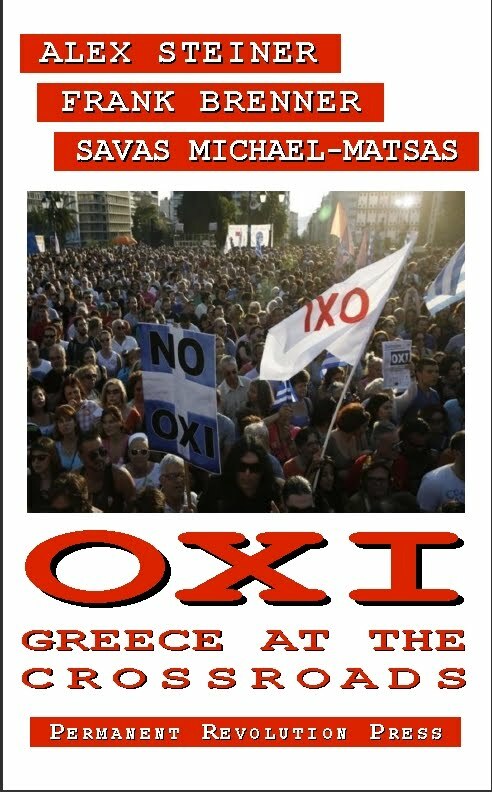 It is clear to any but the most muddle headed sectarians that the campaign for a NO vote in the referendum, highlighted by the enormous rally in Syntagma Square on July 3 and the landslide victory of the NO on July 5 was a historic watershed of the class struggle in Greece and internationally. The 62% voting “NO” was achieved in the teeth of an unprecedented campaign of intimidation by the entire bourgeois media. It was assisted by the deliberate choking off of credit to the banks by the ECB, forcing them to close their doors on the first work day after the referendum was announced. The right wing in Greece, assisted by some so-called leftists, reasoned that this terroristic onslaught would panic the population into a YES vote. What they did not count on was the fortitude and fighting capacity of the Greek working class which has been tempered through years of struggle against one austerity regime after another. The morning after the referendum saw Tsipras’ response. 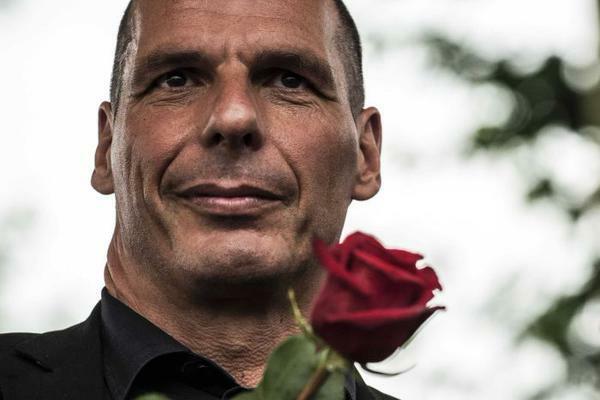 The news featured the announcement that Varoufakis had “resigned” as Finance Minister. Tsipras was sending a very clear message to the EU that he was prepared to remove the troublesome section of Syriza in order to do a deal on whatever terms they offer. The EU ministers were incensed by Varoufakis, not because he was particularly radical, indeed he went out of his way to avoid that moniker, but because in his public and private statements he consistently refused to prettify the awful terms that were demanded by the Troika. Rumors were already circulating, later to be confirmed, that Varoufakis would be replaced as Finance Minister by the far more pliable Euclid Tsakalotos. In addition other rumors indicated that Energy Minister Panagiotis Lafazanis, the leader of the Left Platform within Syriza, would soon be replaced. Lafazanis and several other government officials who opposed the agreement Tsipras would soon be signing would not be officially replaced until July 17 but the handwriting on the wall was already clear the morning after the referendum. That evening I attended an event at the Locomotiva Café. It was the launch of a new edition in Greek of Trotsky’s Diary in Exile. The book was introduced by the well-known French Marxist intellectual Michael Lowy who helped edit this edition. Savas provided translation and also made some remarks of his own. The first public announcement of Tsipras’s capitulation to the onerous austerity measures demanded by the EU came on the morning of July 9 when the new Finance Minister, Euclid Tsakalotos, wrote a letter to the EU ministers indicating his intention to “immediately” implement a “comprehensive set of reforms and measures… in the areas of fiscal sustainability, financial stability, and long-term economic growth.” The details came out later in the day when Tsipras met with EU representatives and offered a comprehensive package of austerity cuts totaling €13 billion. This was significantly more than the total cuts that had been previously demanded by the EU. Tsipras evidently understood that the EU ministers smelled blood and nothing less than a complete and abject capitulation would appease them. It was their pay back for the ‘crime’ of calling a referendum. Nevertheless, even this sign of surrender was met with skepticism by some of the EU ministers. Wolfgang Schäuble, the Finance Minister of Germany and the key player in the talks with Greece was set on forcing Greece out of the Euro and out of the EU altogether. I was scheduled to deliver a talk on “The Dialectics of Revolutionary Strategy and Tactics” at the Locomotiva Café that evening. The events of the day forced me to reconsider how I would end my talk. Tsipras’s transformation of the mandate for a NO to austerity into a YES was a remarkable illustration of the dialectic of opportunism. In this case we have a party that told the Greek working class to vote NO in the referendum – against austerity - while all along it was preparing to negotiate a new round of austerity measures. This was the contradiction that had defined Syriza from the start – it had promised to fight against austerity and its base of support was built on that promise. But it never had a strategy for opposing austerity and instead relied on wishful thinking that the EU would be amenable to reasonable compromises that would lessen the pain of austerity. This contradiction came to a head the morning after the landslide victory of the NO vote in the referendum. It was clear on the evening of July 5 that there was no longer any room for maneuvers and a choice finally had to be made. 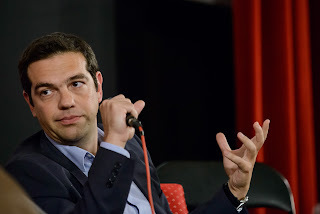 Given his entire political history and the record of Syrza’s repudiation of its election promises it was entirely predictable that Tsipras would capitulate to the demands of the EU. But to say that Tsipras’s betrayal was predictable and to understand why he chose the road of betrayal are two different things. A number of commentators, and there have been many, predicted that Tsipras would betray his election promises to end austerity. Some of those commentators later went on to brag that Tsipras’ actions following the referendum confirmed how clever and far-seeing they were. But none of those commentators provided a coherent explanation of just why Tsipras chose the road of betrayal. Insofar as any explanations are attempted, it is phrased in the language of pop psychology and conspiracy theories. For example, Tsipras‘s betrayal is alleged to be part of a clever plot in which the leadership of Syriza took their marching orders from the Greek bourgeoisie. According to this theory, the ruling elite needed Syriza to provide a “left cover” for further austerity measures because the traditional parties that had been entrusted to carry out the austerity measures, Pasok and New Democracy, had been completely discredited. Now like many conspiracy theories, there is a grain of truth to this narrative. It is true that Pasok and New Democracy had been discredited and it also true that sections of the bourgeoisie in Greece were looking for a new political formation to continue the austerity measures. Some sections of the Greek bourgeoisie who had been particularly hard hit by the austerity measures genuinely wanted to end it and even contemplated support for a left wing party like Syriza. It is also true that in the two years leading up to Syriza’s election victory in January, from the time when they first became a serious political contender in Greece in 2013, Tsipras had gone out of his way to reassure the Greek and European ruling elite that they would have nothing to worry about from a Syriza government. But what this narrative has in common with all conspiracy theories is what it leaves out, the movement of the working class. Syriza’s policies were not ONLY a response to the interests of the ruling class but also reflected the pressures from below of the working class. The pledge to end austerity, enshrined in Syriza’s original Thessalonika platform was not just a clever ruse designed to get votes, it was a genuine response to the aspirations of the working class. But so was the pledge to remain in the Eurozone. And the pledge to remain in the Eurozone was also not simply a reflection of the dictates of the Greek and European bourgeoisie (indeed we would learn later that some sections of the European bourgeoisie wanted to kick Greece out of the Eurozone), but also reflected to a large degree the aspirations of most Greeks. Some of the polls at the time showed that an overwhelming majority of the population favored remaining in the Eurozone. Although today, after the consequences of remaining within the Eurozone are much more apparent, that figure is likely to be smaller, but probably still a majority of the population. But these two planks or Syriza’s platform were contradictory. It was never possible to end austerity while remaining in the Eurozone. 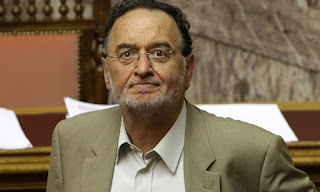 One Syriza deputy who did recognize the incoherence of Syriza’s program was the economist Costas Lapavitsas. He was an advocate of exiting the Eurozone. 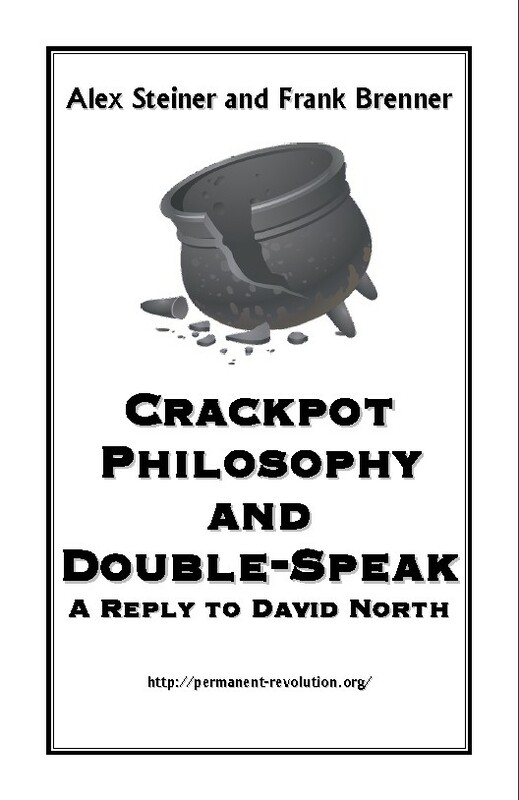 But the alternative he proposed – Plan B – a return to the drachma based on a revival of native Greek capitalism – was just as much a fantasy as the notion that you could remain in the Eurozone and end austerity. I wrote an article back in March, Plan C: The Socialist alternative for Greece  in which I presented the real alternative to remaining in the Eurozone – a plan for Greece to take the initial steps of a transition to socialism in Greece and throughout Europe. While Lapavitsas was discerning enough to recognize the impossible contradiction in Tsipras’s position, he shared with Tsipras as well as Varoufakis a philosophy that doomed all of them in the end. Each of them, in their own way, claimed to support socialism and there is no reason to think that they were not sincere in their beliefs. But while they differed in their tactics, they each had in common a belief that socialism is not on the agenda in any conceivable set of circumstances in this generation. It was seen as a desirable goal, but one that was “utopian” in the sense that it was not attainable until some far removed future if ever. (Both Lapavitsas and Varoufakis have given interviews where they said this explicitly.) And they each thought that the best they could do was to be “pragmatic” and strive for what was attainable. And what was attainable as far as they were concerned was some form of capitalism shorn of its rough edges and tempered with a bit of humanity. But that turned out to be a truly unattainable goal. Here in this philosophy of “pragmatism” lies the ultimate explanation of Tsipras’s actions. The crisis of capitalism and the Eurozone had turned Tsipras’s pragmatic politics on its head. It turns out that the real “utopians” are the “pragmatists” like Tsipras while the real “pragmatists” – the ones who base their perspective on the actual dynamics of class relations in society instead of wishful thinking – are those who advocated a break from the Euro and a transition to socialism. The talk at Locomotiva Café that evening went well, attracting a good audience of about 50 people. Savas chaired and translated my English presentation into Greek. There were some spirited questions following the talk. One comrade asked whether it was possible to fight austerity on a national basis. 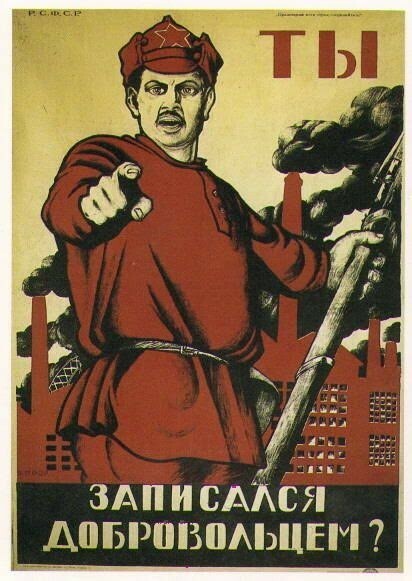 Another comrade wanted to know what was the relationship of the attempt to gauge the psychology of the masses with Marx’s early writings on alienation. Following the talk a number of us discussed the new situation in Greece that has opened up as a result of Tsipras’s betrayal of the mandate of the referendum. The next morning my companion and I left for a long ago planned week of rest and relaxation on the Ionian Island of Kefallonia. It turned out that the people in the tiny villages of Kefallonia were following events no less avidly than those in Athens. Political graffiti was abundant in many village squares. There were slogans and posters supporting the Communist Party (KKE), Syriza, and even the fascist Golden Dawn. There were still posters left over from the referendum campaign, almost all of them urging a NO vote. This was all mixed in with the usual advertisements for tavernas, boat excursions and other tourist attractions. The next few days were marked by tense negotiations after the Euro Group rejected Tsipras’s initial terms of surrender. It seems that they were not satisfied with anything less than the complete humiliation and subjugation of Greece for generations to come. And that is exactly what Tsipras gave them in the end. The new package of austerity measures to which Tsipras finally agreed was astonishing in its cruelty and unprecedented in the degree to which the sovereignty of a nation was surrendered to the European banks. Among other things it called for an increase in the VAT (sales tax) from the already high 13% to 23%, an increase in the retirement age, a doubling of income tax for farmers and others such measures. But the real icing on the cake for the EU was the demand – agreed to by Tsipras - that Greece put up all its civic assets, about €50 billion worth of state property, in an auction to be managed by a commission appointed by the EU in exchange for the €86 billion bailout loan. On Tuesday July 13 Tsipras gave an interview on national television in an attempt to sell this agreement to the people before introducing it in Parliament the next day. We found ourselves in the remote village of Komitata that evening and caught the interview on a television screen in a café in the center of the village. There were 5 or 6 other people watching the interview – as much of a crowd as can be expected late in the evening in this tiny village. I could guess their political sympathies by the fact that the main square in town had lots of pro-Syriza posters and graffiti. No other political posters were in evidence here. Tsipras played on the natural sympathy his audience felt for him as a victim of imperialist bullies. He admitted that the agreement was terrible, but nevertheless still tried to present it in the best possible light, claiming that the alternative would have been unthinkable. He said that an exit from the Euro – the only “alternative” he mentioned - would have immediately led to the collapse of the banks and the destruction of the life savings of everyone in Greece. Thus he presented himself as a kind of Roman general who is surrounded and greatly outnumbered and given a Hobson’s choice of either surrendering and keeping his troops alive and intact, or going down in a blaze glory and seeing his army decimated . This rationalization of his betrayal of the referendum convinced a good number of Syriza supporters initially, and that also seemed to be the reaction of the people in the café. If they were angry about the agreement they did not show it. But it was also clear that anger and resistance will inevitably follow once the consequences of Tsipras’s betrayal sink in. “…it is the entire EU project that is facing the dynamics of dissolution. This project, after the epochal event of the demise of the Soviet Union in 1991, had as its strategic goal expansion into Central and Eastern Europe and the Balkans, the re-colonization of the entire former Soviet space, and thus the capitalist integration of Europe around the French-German axis to make the EU able to fight for hegemony in the chaotic post-Cold War world. Monetary unification of countries with very different and unequal social economic national structures was a necessary instrument of this strategy. I was in Greece for several more days and watched the inevitable winding down of the time piece Tsipras set into motion, first by calling the referendum followed by repudiating its mandate. There was the debate in Parliament over the initial legislation to allow Greece to obtain a bridge loan while the details of the agreement were being worked out. Tsipras knew that his action would split Syriza and he would likely lose his governing coalition. He was counting on the fact that the pro-austerity parties, Pasok, New Democracy and Potami would support him in enacting all the pieces of legislation that were required to implement the surrender of Greece’s sovereignty. And that is exactly what happened. Once the Left Platform of Syriza broke ranks with Tsipras he had to rely on the votes of the right wing parties in order to continue. This was obviously an unstable situation and new elections some time after the legislation to pass the Memorandum agreement became inevitable. That happened as we know on August 20, a few days after the final debate in Parliament took place and the day when a large payment by Greece on its debt obligations was due. Whatever the results are of the election on Sept 20 one thing is clear, the next government of Greece will rest on a highly unstable foundation. Recent polls show that Syriza has lost support at the same time as the traditional right wing party, New Democracy, has made significant gains. Syriza’s loss of support is of course to be expected given its betrayal of its election promises and the split from its ranks of the Left Platform. But how to explain the gain for the thoroughly discredited New Democracy? This is happening despite the fact that New Democracy does not have any nationally recognized leader. One can only conclude that the surge in support for New Democracy represents disgust with Syriza rather than any positive adherence to New Democracy. Tsipras in the meantime is presenting himself in the election campaign as the only candidate who is capable of smoothing out the rough edges of the terrible austerity deal he negotiated. On Sept 6 he presented his election platform in Thessalonika, almost exactly one year after the original Syriza “Thessalonika program” was presented to the nation and which propelled it to victory in the January election. The contrast between the two Thessalonika programs could not be greater. In September of 2014, Tsipras promised that his party would end austerity, calling for a “European New Deal” with Greece’s EU partners. In September of 2015, with Greece’s EU “partners” now seen as its predators, there is no more talk of a “European New Deal”. Instead, Tsipras has little else to promise than to undo some of the worst aspects of the austerity package that he signed. But the sellout inscribed in the Thessalonika program of 2015 was prefigured in the contradiction at the heart of the 2014 program. You cannot fight against austerity and at the same time remain within the European Union. And you cannot get a “European New Deal” within capitalism. The full quote is from a polemic against the Burnham-Schachtman faction, A Petty-Bourgeois Opposition in the Socialist Workers Party. This time again, in a positive sense, you don't fall short of my expectations at all. Anybody will be greatly impressed by your insight, and I'm no exception. Your writing has satisfied much of my curiosity about Tsipras' betrayal. In particular, your assertion that "to say that Tsipras’s betrayal was predictable and to understand why he chose the road of betrayal are two different things" hit the mark. In this context, your from-below perspective ― the emphasis on the existence of working class and its pressure or potency ― seems to me to be perfectly legitimate. In the meantime, I cannot but confess that the more aware I am of the state of things, the more hopeless about future. Instead of having a self-contradictory fantasy that "you could remain in the Eurozone and end austerity," should Tsipras, or Syriza, or socialists have presented "a plan for Greece to take the initial steps of a transition to socialism in Greece and throughout Europe"? Even if he or anyone else had done so, might it have led to more nameless horrors? Due to the lack of the solid base of political power. About twenty years ago, my country experienced a bankruptcy similar to Greece's(, so I more profoundly sympathize with Greeks). Political leaders of the day in my country were busy taking makeshift measures for the only purpose of survival, which meant more austerity. My country apparently is known to have overcome the financial crisis since then, but is it really so, I wonder. It is undeniable that despite outward prosperity, the inner wound is festering. No way out in sight. Just a door to conformity. You write that: "You cannot fight against austerity and at the same time remain within the European Union." While it may be true that the controlling forces in the EU would want Greece "out", even the IMF was critical of the other pieces in the troika for pushing in that direction. The issue should not be framed as "Should we stay in the EU or leave it?" or the Left will lose. The issue should be framed just as the referendum did: "Do we want to accept austerity, or not?" and do all the things necessary to fight against austerity. And if the European Union controllers refuse to cede on the austerity demands, the movement just does what it has to do: Nationalize the foreign banks, declare a debt jubilee and cancel all debt, and so forth. Should the EU be so heavy-handed as to send in troops or to try to expel Greece, the fight then moves to a new level: Resist the troops and refuse to accept removal from the EU even while implementing the socialistic and anti-austerity measures -- that is, to press the contradiction within the EU as a very unsteady capitalist formation. The idea would be to rally the workers throughout Europe and elsewhere to support the anti-austerity movement in Greece, and to take over the apparatus in the name of anti-austerity and socialism, not to voluntarily quit it.